Announcement Welcome to Eyespire Designs. 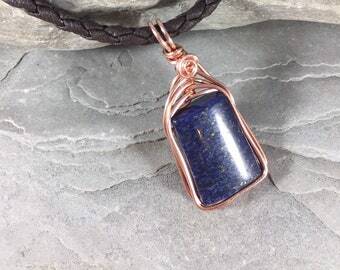 I’m Jennifer, a legally blind, by-touch jewelry designer, and I Design and make jewelry that is as unique as you are with natural gemstones, copper and silver. I pride myself on delivering unique designs that you Can’t find anywhere else. Through Etsy, I’m incredibly excited to share these gems with the world. Take a look around, and let me know what you like. I'll get your one of a kind order filled and shipped quickly and with care. Welcome to Eyespire Designs. 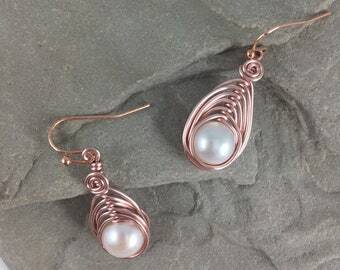 I’m Jennifer, a legally blind, by-touch jewelry designer, and I Design and make jewelry that is as unique as you are with natural gemstones, copper and silver. I pride myself on delivering unique designs that you Can’t find anywhere else. Beautiful gift. Item just as described! Beautiful earrings, matching the necklace perfectly!! Wonderful gift. Will definitely order from here again! The pendent is beautiful...exactly as pictured. Delivery was prompt. Positive buying experience, and would highly recommend. They match the necklace perfectly and are beautiful! Exactly as pictured - great quality and fast shipping. Connemara Marble from Ireland is here! With each piece of jewelry I bring into existence, I reinvent myself in a way I never thought possible. 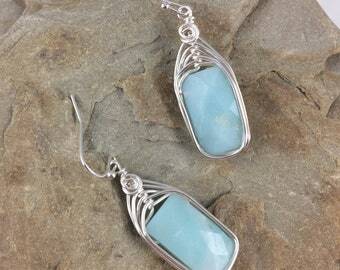 Eyespire Designs is all about creating natural, gemstone and mixed metal jewelry you can’t find anywhere else. My store features one of a kind pieces of wearable art for women who only wear statement pieces as unique as they are. I’m Jennifer, and I launched Eyespire Designs in 2016 after the discovery of jewelry making brought me back to life. In 2014, I was a thriving graphic designer, but overnight I lost everything. A rare reaction to medication left me completely without sight. I lost my lively hood and my passion. Until I discovered wire-wrapping. Using only my sense of touch, I began bending wires around the beach glass that washed ashore from Lake Erie. As I slowly built my jewelry making skills, I began to rebuild my life. Now, I have 20% of my vision back (but that's not enough to do graphic design). My vision is mostly light and dark shadows and extremely blurry shapes. I create my jewelry mostly from touch and with the help of some very careful labeling of materials by family and friends. Because of my graphic design background, I still have a strong sense of color even though I cannot see it anymore. My new passion, however, is creating beautiful jewelry. With each necklace and pair of earrings I bring into existence, I reinvent myself in a way I never thought possible. Eyespire Designs got its name by combining two words. Eye, because I am legally blind and aspire, because I was aspiring to try something new. My friends think it is also combined with the word inspire, because I never lost hope and made lemonade out of a lemon. I hope to inspire the wearer of each piece of jewelry to become a survivor. To look beyond what is and toward what could be. Thank you so much for visiting my shop, and I hope to inspire you with Eyespire Designs. Hi! I'm Jennifer, owner of Eyespire Designs. I truly hope you enjoy my jewelry. I am a single mother of a wonderful son, who keeps me laughing. We reside in Lakewood, Ohio. I may store and process your information through third-party hosting services in the US and other jurisdictions. As a result, I may transfer your personal information to a jurisdiction with different data protection and government surveillance laws than your jurisdiction. If I deem it necessary to transfer information about you via third-party services, I will first ensure that they comply with GDPR requirements. For purposes of the EU data protection law, I, Jennifer Stringer, am the data controller of your personal information. If you have any questions or concerns, you may contact me at jennifer.eyespiredesigns@gmail.com. Contact me with customer or personalized orders. These are handled on a case-by-case basis. 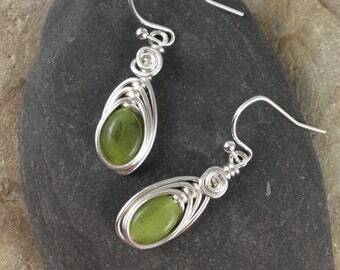 Earrings range from .25 to 1.25 inches in length. Necklaces range from 16 to 20 inches in chain or rope length. See individual items for specific sizing options. 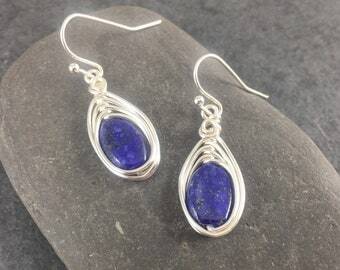 Our gemstone jewelry is all natural. That means that mother nature has already worn your stones to their most beautiful shape, size and color. However, if stones are dropped on a hard surface, if wire is warped or pulled, and if chains or rope is yanked, damage may occur. We are not responsible for items damaged after it has been worn or used. Contact shop owner with wholesale inquiries. Is your jewelry one of a kind? 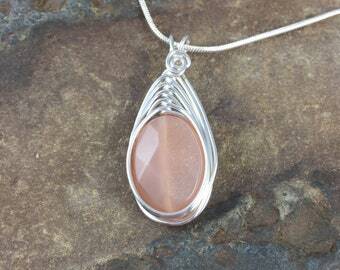 Yes, because of the natural way the stones are worn by Lake Erie, each piece of beach glass will be one of a kind. This gives your earring set a unique and fresh look only you will own and wear. We also hand choose gemstones from specialty shops, so once our unique selections are gone - they're gone!